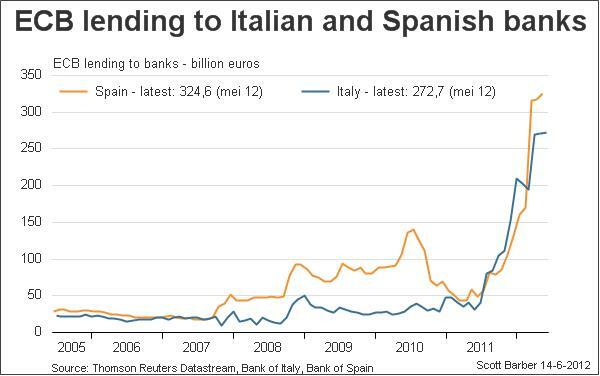 As you can see the lending of the ECB to Italian and Spanish bank spiked recently to new records. Spain's banks already needed more help during the banking crisis and the Great Recession, and is also currently the country which needs the most help from the ECB. It is noticeable that also Italian banks need significant support, because the private sector in Italy by far has not been hit as much as compared to Spain.